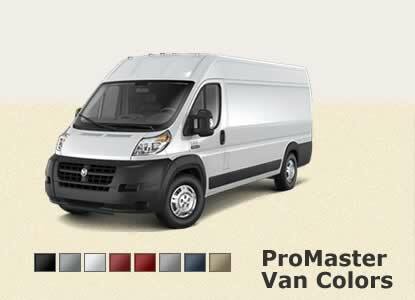 The New ProMaster is based on the Fiat Ducato that has been available in Europe for 30 years. Over 4.5 million Ducatos have been sold. Safety – ProMaster includes six airbags (driver and front passenger, side-curtain and seat-mounted side pelvic-thorax) • Electronic stability control • Standard electronic stability control also hosts all-speed traction control • Trailer-sway control • Start assist and antilock brake system (ABS) • Panic brake assist • Brake-lock differential, roll mitigation • Autonomous brake lamp activation and drift compensation • Park Sense rear-park assist and the Park View rear backup camera also available.